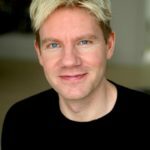 Bjorn Lomborg is a Danish author and visiting professor at the Copenhagen Business School as well as President of the Copenhagen Consensus Center. He is former director of the Danish government’s Environmental Assessment Institute (EAI) in Copenhagen. He became internationally known for his best-selling and controversial book, The Skeptical Environmentalist (2001), in which he argues that many of the costly measures and actions adopted by scientists and policy makers to meet the challenges of global warming will ultimately have minimal impact on the world’s rising temperature. "Money spent on carbon cuts is money we can’t use for effective investments in food aid, micronutrients, HIV/AIDS prevention, health and education infrastructure, and clean water and sanitation." "The main environmental challenge of the 21st century is poverty. When you don’t know where your next meal is coming from, it’s hard to consider the environment 100 years down the line." "If we invest in researching and developing energy technology, we’ll do some real good in the long run, rather than just making ourselves feel good today. But climate change is not the only challenge of the 21st century, and for many other global problems we have low-cost, durable solutions." "I’m no expert on American politics." "I tentatively believe in a god. I was brought up in a fairly religious home. I think the world is compatible with reincarnation, karma, all that stuff." "In the rich world, the environmental situation has improved dramatically. In the United States, the most important environmental indicator, particulate air pollution, has been cut by more than half since 1955, rivers and coastal waters have dramatically improved, and forests are increasing." "I think Al Gore has done a great service in making global warming cool. He’s basically taken it from a nerdy, almost ignored issue to making it what it is – namely, a problem." "When a business group tells us there is nothing wrong with the environment, naturally they may have good arguments, but we are also sceptical, because we know that they have an interest in these things." "I think it’s great that we have organisations like Greenpeace. In a pluralistic society, we want to have people who point out all the problems that the Earth could encounter. But we need to understand that they are not presenting a full and rounded view." "Even if every major government were to slap huge taxes on carbon fuels – which is not going to happen – it wouldn’t do much to halt climate change any time soon. What it would do is cost us hundreds of billions – if not trillions – of dollars, because alternative energy technologies are not yet ready to take up the slack."